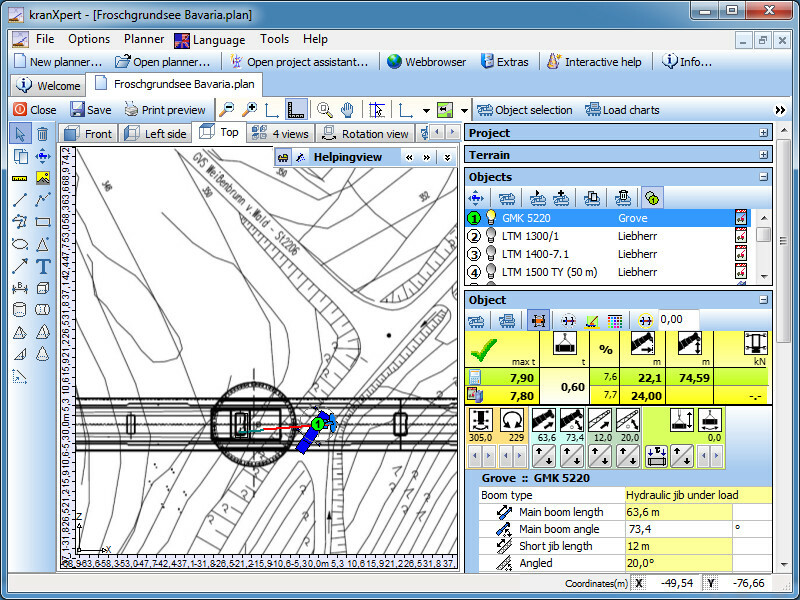 You do not need to know CAD, or master a complicated program, in order to draw obtacles or buildings. 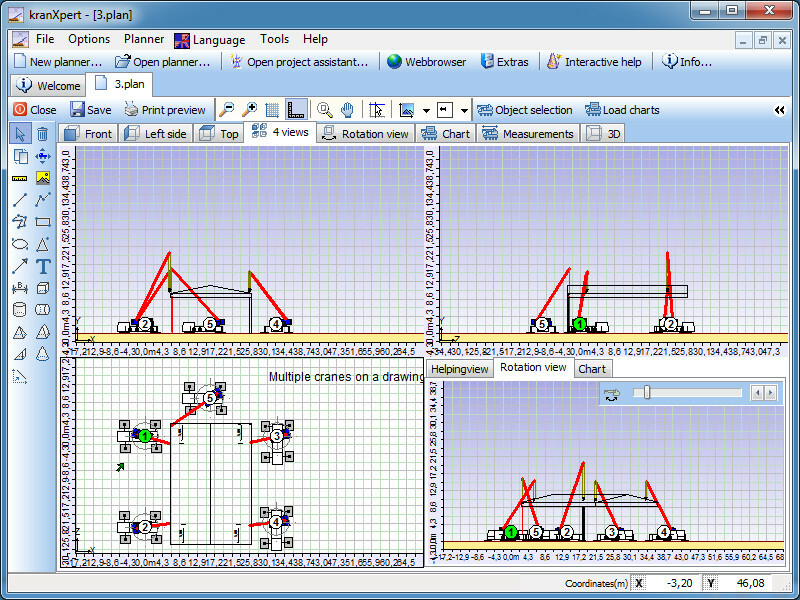 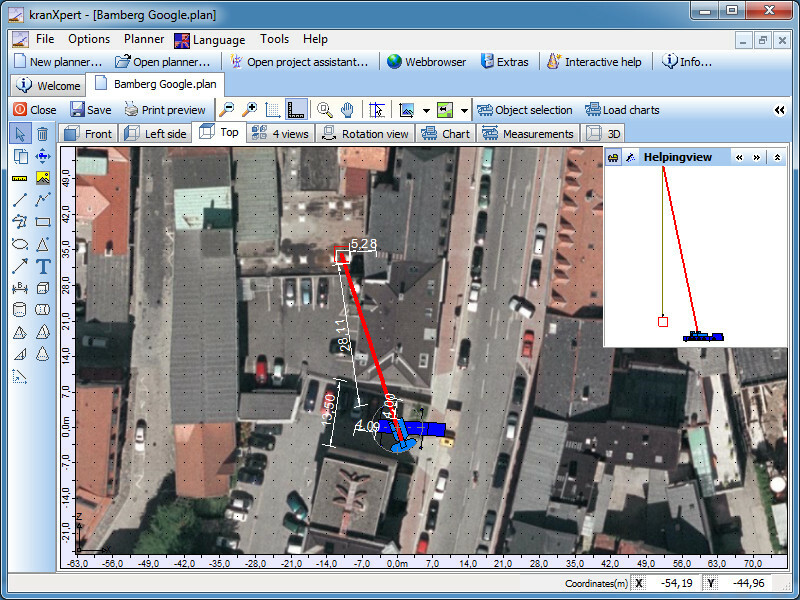 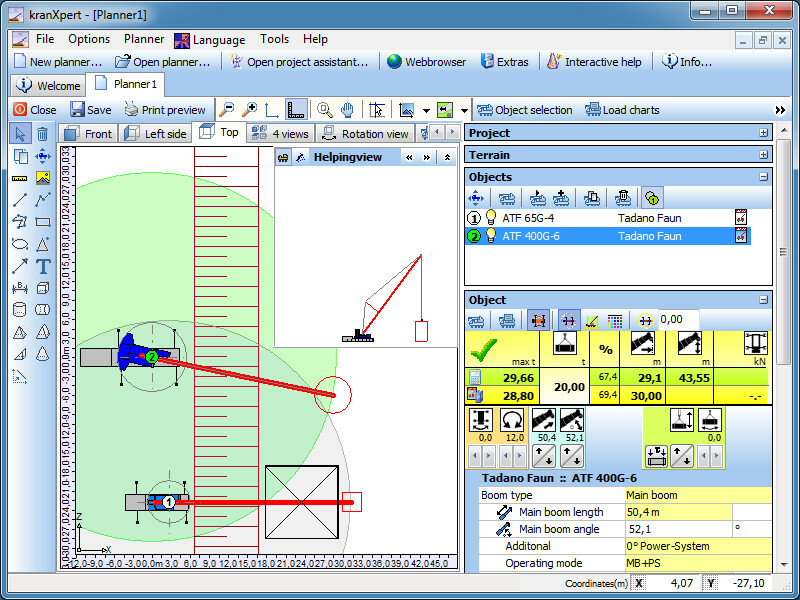 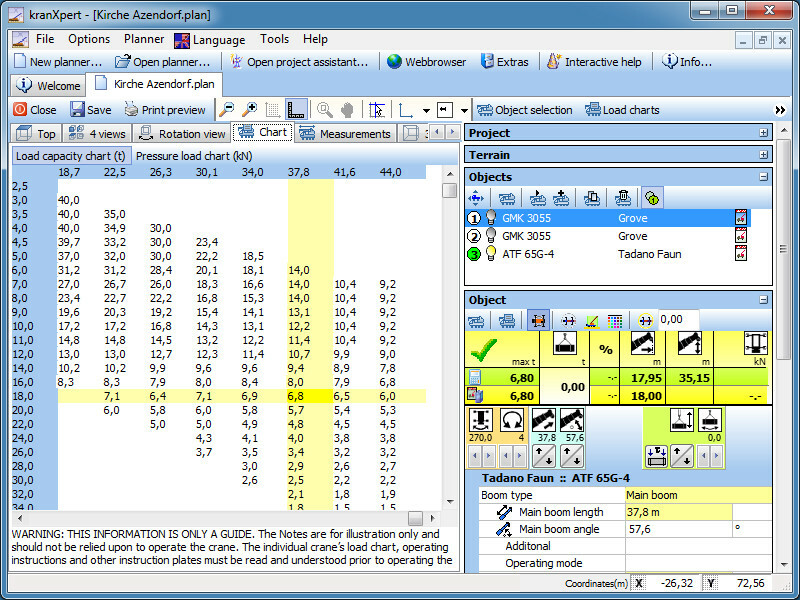 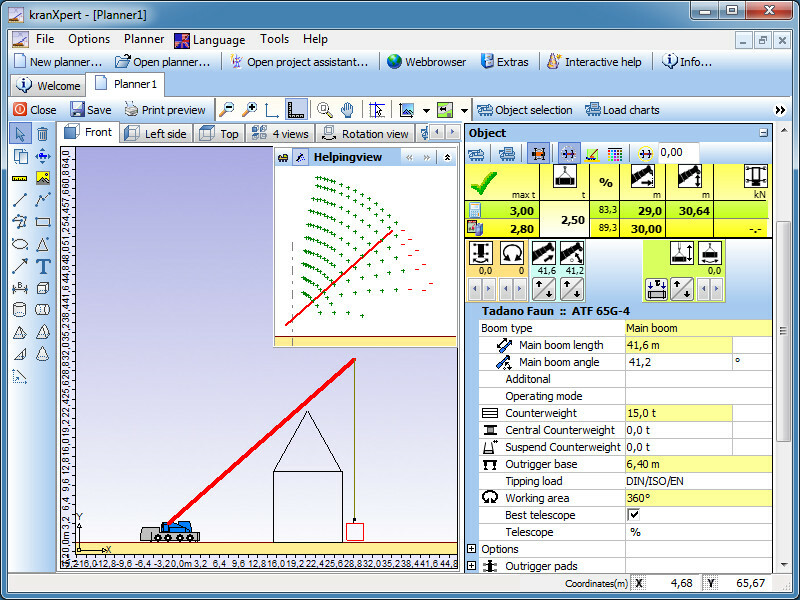 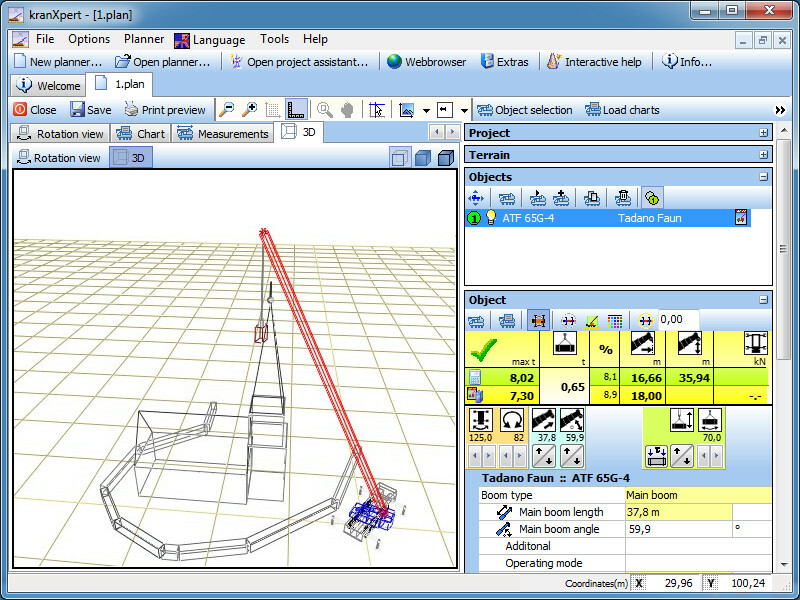 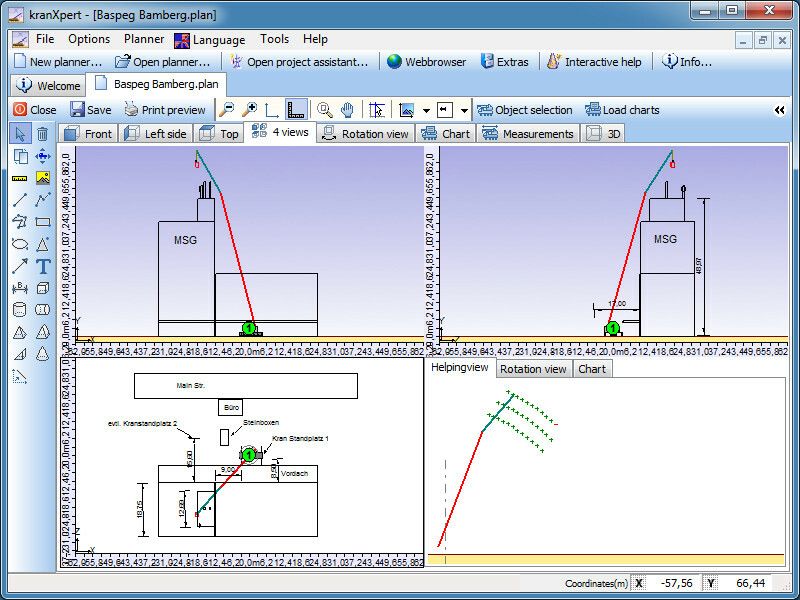 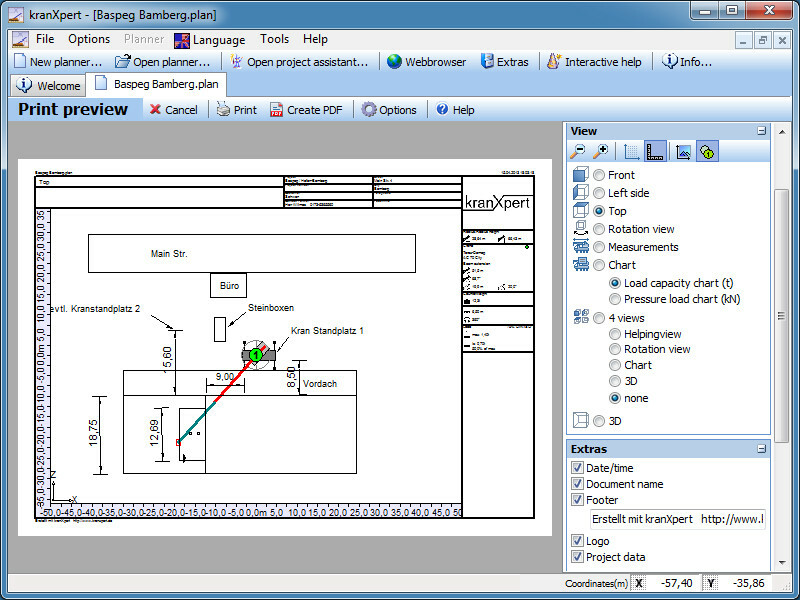 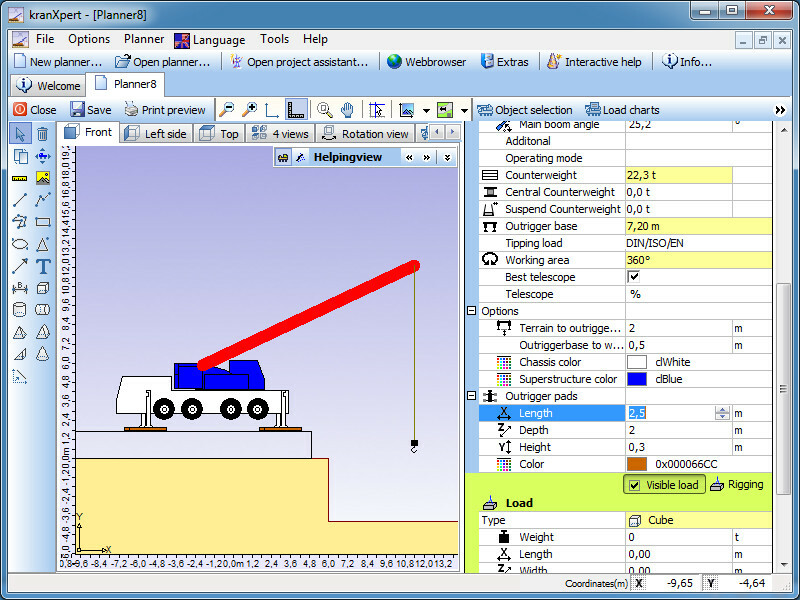 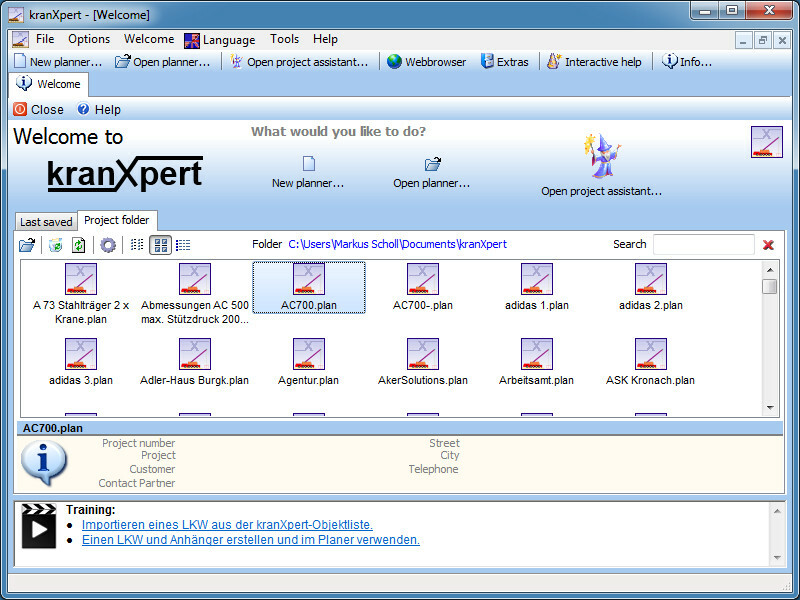 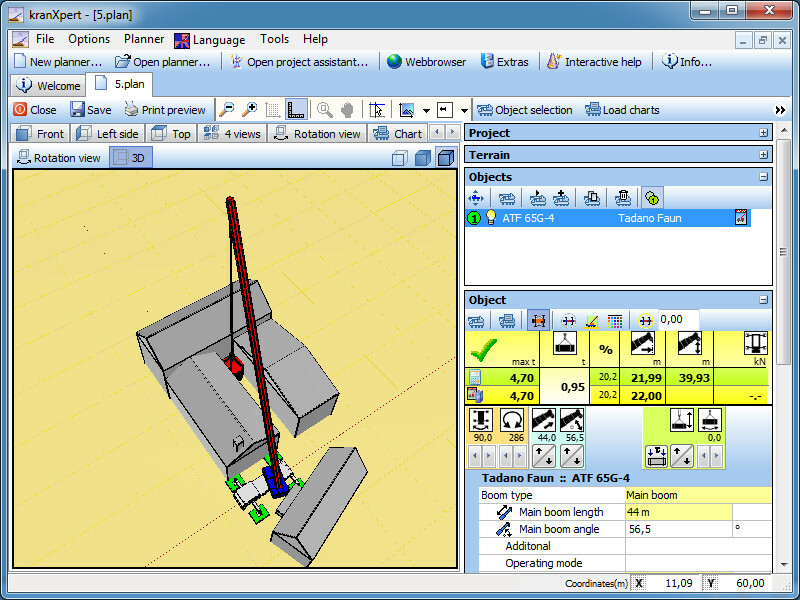 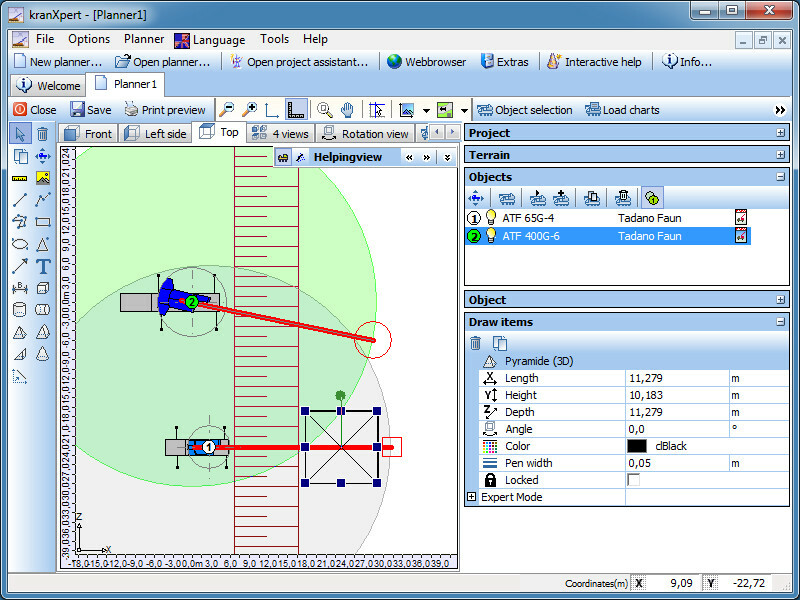 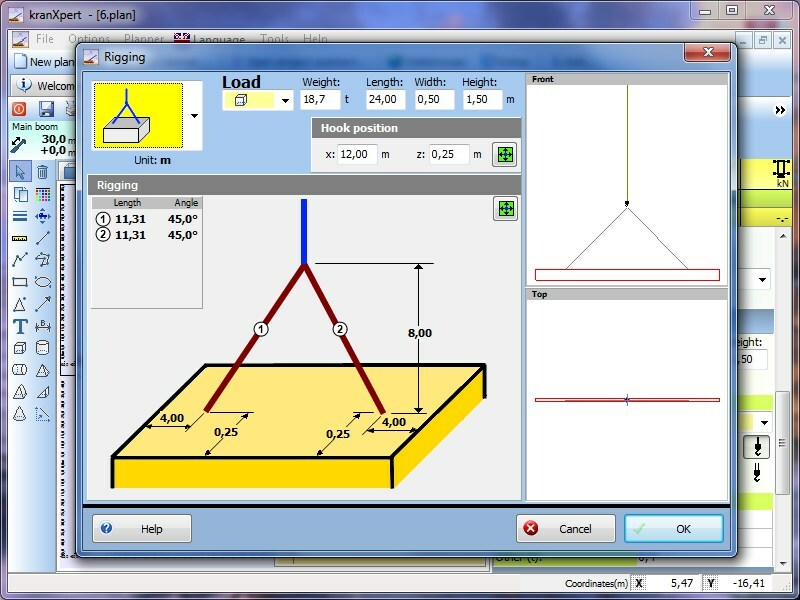 Kranxpert, through familiar drawing tools, allows the user to visualize the crane lift in a myriad of views. 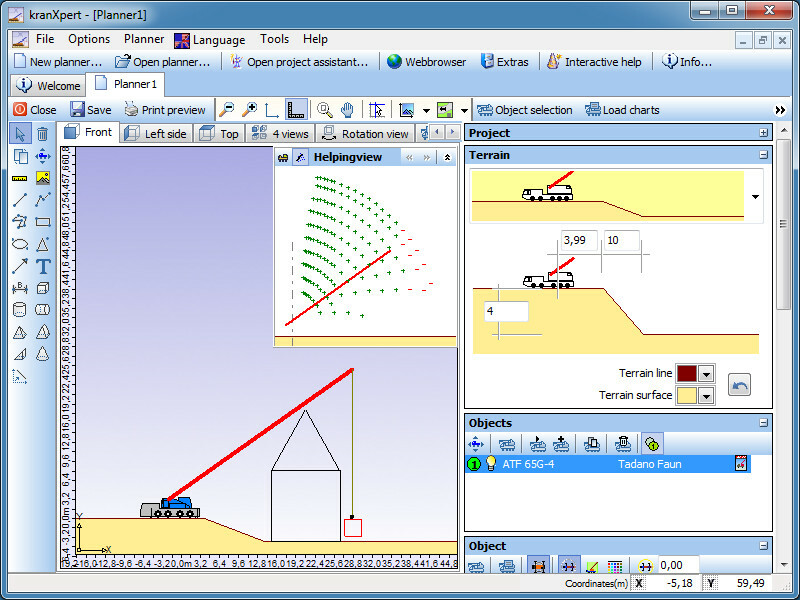 The following 2D drawing tools are available for you: tape measure, line, polygon, closed polygon, rectangle, ellipse, triangle, text and dimensions. 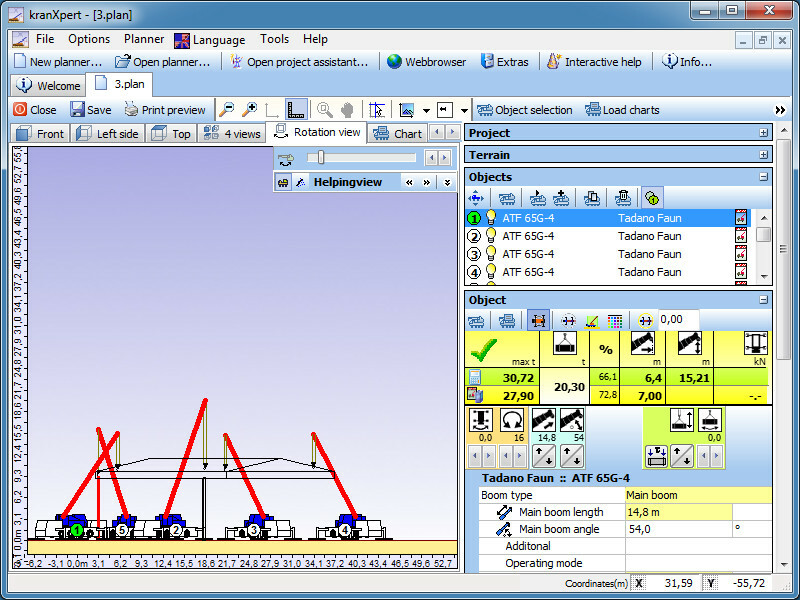 To make the process even more efficient, you may also select from the following 3D drawing tools: cube, cylinder, pyramid, sphere/oval, cone and the 3D-line. 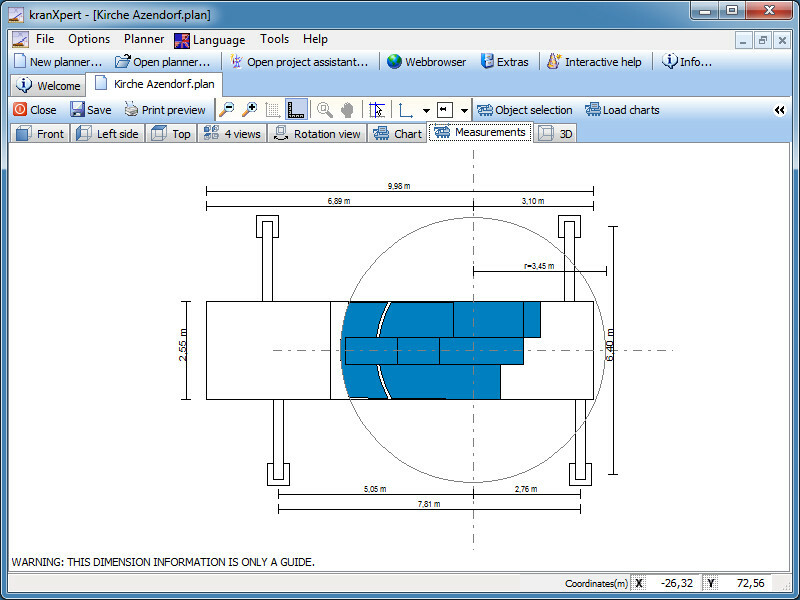 The advantage of the 3D drawing tools is that these also become visible within the other views-- meaning, if you draw e. g. a cube in the base view it is viewable as a cube within the other views(including 3d). 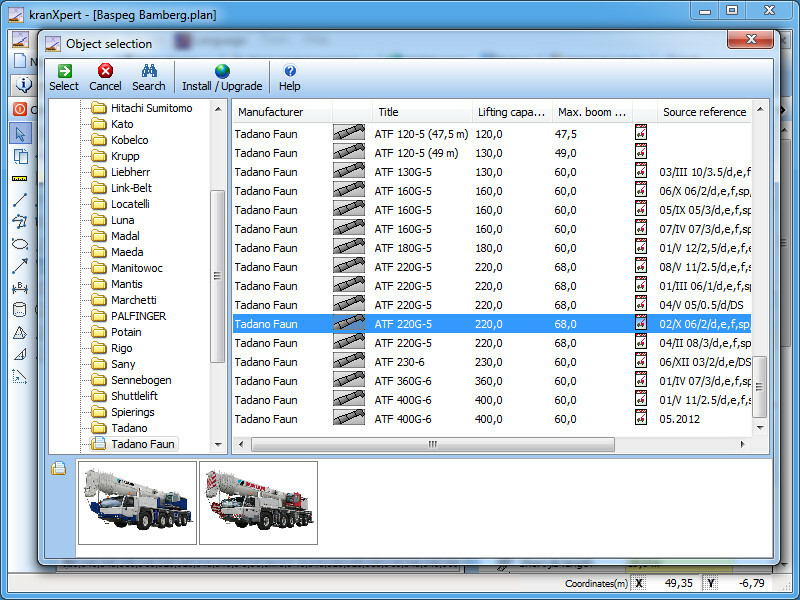 Only a small crane database but you can edit cranes by yourself.